Did you know that more than 100,000 traffic accidents in Texas each year involve distracted driving? According to the Texas Department of Transportation, 38 percent of drivers admitted to talking on their phone while driving at least some of the time in 2015. Not only that, but 21.2 percent of drivers say they read or send text messages or emails when behind the wheel. That’s a scary statistic. It may also be the reason why the “textalyzer” is gaining popularity. What is the textalyzer? Modeled after the Breathalyzer, the technology will determine if you had been using your phone illegally while driving. Lawmakers in several states are considering allowing the police to use this device in an effort to crack down on distracted driving. According to officials, too many people are getting away with texting and driving, causing more and more accidents to occur. The textalyzer works like this: The officer will attach a cord to connect the device to the driver’s phone. After tapping just one button, within 90 seconds, it will show what was the driver’s last activities were and show a time stamp. However, there is a concern about privacy issues. According to the New York Civil Liberties Union, this gives the police the power to search a phone after any type of accident, which could be a violation of a person’s privacy rights and civil liberties. It’s true that fatal accidents are on the rise. According to the National Safety Council, fatal traffic accidents in 2016 are estimated to be the highest in nine years. One of the causes for such a dramatic increase is texting either manually or through voice controls — in fact, 47 percent of those surveyed say they are comfortable texting while driving even though they know it’s a safety concern. Although the use of the textalyzer is up for debate in New York with other states considering bills, could this technology be coming to Texas? 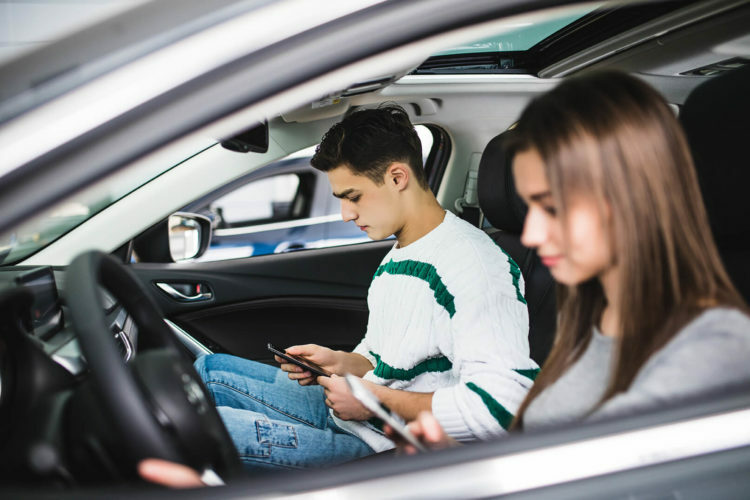 It doesn’t look that way, but don’t be surprised if we hear more about this technology if distracted driving accidents continue to increase in the state. If you were injured or lost a loved one in an accident with a distracted driver, get legal help today. Contact a Houston car accident lawyer at de Lachica Law Firm for a free consultation.